Cmon gaz this country was built upon taking the piss out of mates, no ego involved here mate. 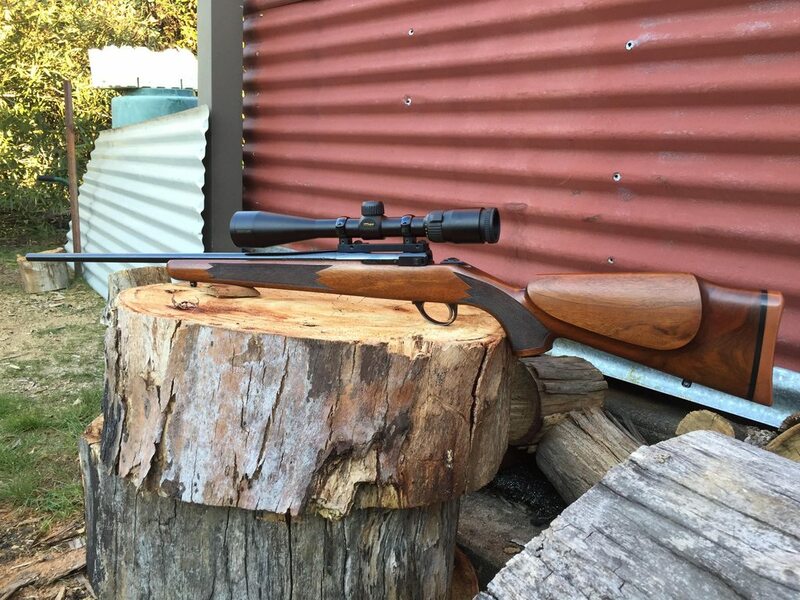 Flyer wrote: A number of guys at our club shoot L461 actions in 222 and they are some of the most accurate guns on the line. There are after-market triggers available for them. Original factory barrels or aftermarket? Yeah I know there are aftermarket triggers for them but not easy to source from my research and expensive if memory serves me correctly, I really liked the action and the stock was beautiful to handle but I just wasn't interested in stuffing around with it in the end as I had a 222 Howa that shot rings around it (not as nice to handle being a varmint barrelled action but rather a shooter than a tomato stake that looks and feels great TBH. First off Bill, I seroiusly doubt Islander is your "mate" who would see your piss taking as part of an Aussie mateship ritual. Secondly, perhaps offering a constructive suggestion instead of telling the man you got a belly laugh at his attempts to work things out for himself would be more helpful. Humiliation has never been big on the teaching spectrum. Someone who asks a group of strangers for technical advice is definitely not going to mistake ridicule for friendship, believe me. If you have something helpful and constructive to offer a new shooter, by all.means do so. If you just want a cheap laugh at someone else's expense, try youtube. Aftermarket barrels. I'd imagine most of the original barrels are long in the tooth by now, but I've got a mate with an original 222 sporter barrel and his shoots as well as any of the factory rifles. The L461 and A1 actions are popular for competition, so Timney, Madco, Canjar and (I think) Barnard all make triggers for them. There's still a bit to be said for the Howa mini being based on the L461, though from memory it's a little bit heavier and the ones I've tried weren't as smooth as the Sako - though the difference was probably more to do with new action vs well worn-in action. I figured that would be the case mate, I think half the prob with this particular rifle was the fact it was what was known as a Strawter barrel, really thin and light and known to be crap, sadly I didn't know about them at the time until I started doing some research after I had trouble getting it to shoot. Last edited by bigfellascott on 13 Jan 2019, 7:14 pm, edited 1 time in total. seriously Gaz save ya breathe and lecture someone else. Humiliation ?? wtf its the internet, nobodies been humiliated. Anyway I get the feeling you love a rant so carry on. Dimensions between the L461 and Howa mini are very close, as to the weight I think the mini may be a smidge lighter due to the plastic mag and bottom metal. And yes the Howa needs a few hundred rounds thru it before smoothing up very nicely. Id rate the trigger superior to the Sako after you lighten it with a 2lb spring from the trigger guy on ebay ($22). Couldn't agree more That Sako Trigger was way over the top to try and get working right - right PITA to be honest. Good of you to decide for Islander that your making fun of him doesn't matter because "it's the internet" and that your ridicule doesn't have effect because of the forum. After all, no one has ever been harmed by trolls making fun of them online, have they? I'm not trying to lecture you Bill, arrogant people who get a jolly from humiliating others from behind a keyboard are not intellectually equipped to accept advice, so it would serve no purpose. If you can offer some worthwile advice, by all means please do. If you have nothing constructive to offer, perhaps keep your peurile attempts at jocularity at a stranger's expense to yourself. the conversation would go the same way if it was pub, camp fire or rifle range, we've all got to learn to walk before we run, sometime we trip and graze a knee. Thanks Gaz but I'm sure the Islander picked up something from my reference to the number of lenses. After all he seems like a keen and resourceful type so he might go away and learn something about lens counts and light transmission or he might just scratch his head at this light verbal transaction and have a laugh at the attention. I had to look up "Puerile".....childish or silly. At least I learned something today. Mission is to use it in a sentence tomorrow. I feel quite Puerile responding to Gaz but when the berries are ripe a Bears gotta feed ! By the way, Gaz, no offence taken, it's literally impossible to offend me, be it with the stranger on the internet, or with a mate at the camp fire. I recognise that all people are different and I have zero expectations of others, especially so on the internet. From every conversations in my life I'm absorbing what I find useful to myself and ignoring the rest. Great attitude there, everyone has their own journey. You asked questions and got a range of opinions. You made the decisions that worked for you. I have enjoyed your thread. Cheers. Those who have watches Apocolypse Now will understand the reference.